Kinshasa 07-02-2019 Press review - Before the big jump on the African Union summit next week-end, President Felix Tshisekedi first made a lift-back visit to his counterpart Uhuru Kenyatta in Nairobi. It appears from this bilateral meeting that the two men have promised to work together for reconciliation in the country, the newspapers published this morning testify. L’AVENIR mentions that to stabilize the DRC, Kenyatta willing to help Tshisekedi. In its reminder, the daily newspaper of Bas-Congo Avenue points out that the President of the Democratic Republic of the Congo, Félix Antoine Tshisekedi Tshilombo, arrived on Wednesday 6 February 2019 in Nairobi from Luanda. According to this newspaper, it was in the evening that he exchanged with his homologue Uhuru Kenyatta, at the State House, in camera meeting. It is the same for LE POTENTIEL which mentions: Felix Tshisekedi in Nairobi to draw inspiration from the Kenyan model. The daily of Bas-Congo Avenue reports that on Wednesday in Kenya, the second leg of his visit to the sub-region, Uhuru Kenyatta said he was ready to offer his mediation to Felix Tshisekedi for political stability in the DRC. In front of threats of the demons of the division, reports FORUM DES AS which headlines: the Kenyan experience, a model for the DRC. The daily of Limete notes that became head of state, Felix Tshisekedi found the country that inspired him on the path of national reconciliation. 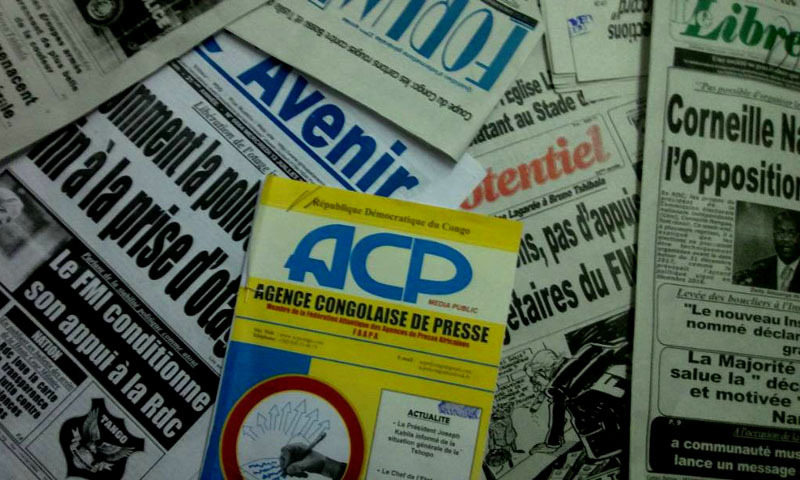 For this tabloid, staying in Kenya, the Congolese Head of State honored the country that saw the birth of the Coalition for Change (CACH), the political platform that brought to power the Fatshivit tandem. LA PROSPERITE exclaims on page 3 DRC-Kenya: Felix Tshisekedi warms cooperation relations! According to the daily newspaper of Mont-Fleury, after his diplomatic trip to Luanda during his meeting with Joao Lourenço, which contributed to a new impetus for bilateral collaboration, the Congolese President, Félix Tshisekedi, once again obtained satisfactory results, in the wake of his talks on Wednesday, 0February 6 in Kenya with President Uhuru Kenyatta. This one, LA PROSPERITE reveals, gave him guarantees as to his country's commitment to support DR Congo that has just emerged from a crisis. As if to endorse his wish, Uhuru Kenyatta and his Government expressed their readiness to improve trade between the two states. For VOAAFRIQUE.COM, Kenya promises to help Tshisekedi stabilize the DRC. For this news site, Kenyan President Uhuru Kenyatta on Wednesday offered his help to restore peace and stability in the Democratic Republic of Congo, during a visit by his new president, Felix Tshisekedi. The Kenyan leader is perceived at this stage as one of the biggest allies of the new Congolese president. He was, moreover, the only African president to go to Kinshasa for the investiture ceremony of the former opponent. For its part, ACTUALITE.CD speaks of Head-to-Head Wednesday between Felix Tshisekedi and Uhuru Kenyatta. According to this site, Naïrobi is the second stage of a sub- regional round that led Tshisekedi, first, to Luanda where he spent the night after exchanges with João Lourenço. He will complete his mission in the sub-region with a visit to Brazzaville for an interview with Denis Sassou-Nguesso. Tshisekedi will then be in Addis Ababa for the African Union summit. The AFRIWARE.COM website adds that Congolese President Felix-Antoine Tshisekedi and his Kenya counterpart Uhuru Kenyatta met on Wednesday, February 6, 2019 in Nairobi. And this, as part of the first regional round undertaken by the new head of state since Tuesday, February 5 in Luanda, Angola, which will end on Thursday 7 in Congo Brazzaville at Denis Sassou Nguesso.